David Creech | Amazing Lookalike! On the left is David Creech, Assistant Professor of Religion at Concordia College in Moorhead, Minnesota. 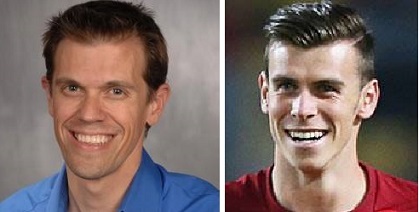 On the right is Welsh footballer Gareth Bale, who plays for Real Madrid.